Auburn Personal Injury Attorneys | Davis Law Group, P.S. The Auburn car accident attorneys at Davis Law Group have handled thousands of cases over the past 25 years and are well aware of the risks Auburn residents face. Attorney Chris Davis and his legal team know how to investigate injury claims and are experienced in navigating the insurance claims process for people injured in Auburn. Mr. Davis and his team work on a contingency fee, meaning we don’t get paid unless we win a settlement for you. You have nothing to lose by contacting us today. Call (206) 727-4000, use the chat feature below or fill out the form on this page to get started today. The award-winning attorneys at Davis Law Group understand what it takes to recover the best possible settlement or verdict on behalf of an injured victim. We have helped people get the justice they deserve and get their lives back on track for more than 25 years. People who hire our legal team to handle their injury claims never have to speak to an insurance adjuster again. In the end, it is our goal to recover the best possible result for each and every one of our clients, even after deducting attorney fees. Making Auburn a better place to live is a top priority for us. That means getting justice for people that have been harmed by other people’s negligence. To learn more about your legal rights and how Davis Law Group can help you, contact our office any time to schedule a free case evaluation. Auburn, also known as “A-town,” is a city located in King County, with a small portion located in Pierce County. 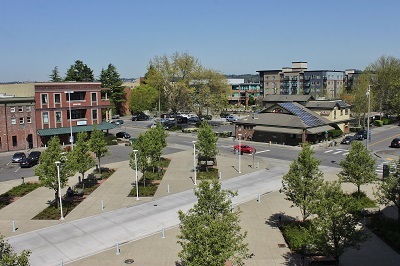 A suburb of Seattle, Auburn is currently the 14th largest city in the state of Washington. The Auburn Boeing Plant is the largest airplane parts plant in the world and is the third major employer in Auburn. While Auburn brings a lot to the table, it’s important to remember that accidents happen every day and often at random. One of Auburn’s residents could be injured on his or her commute to work, a student at Auburn High School could be struck while walking to class, or a child could suffer a dog bite while at one of Auburn’s fantastic parks. If you or a loved one has been seriously injured, it is likely in your best interests to consult with an experienced auburn accident attorney who has a successful track record of handling accident cases. Our award-winning legal team will review your claim for free and help you determine if hiring a lawyer might improve the chances of a favorable outcome. We are dedicated to making the legal process as easy as possible for everyone who contact us. Let us know if you have transportation issues and we will me happy to accommodate you and your loved ones. We can arrange a conference call, send one of our team members to meet with you, or make transportation arrangements if necessary. We work on a contingency fee basis, which means there are no up-front costs if you do decide to hire our attorneys to represent you. Call (206) 727-4000 or use the confidential contact form on this page to get started. Posted on 12/09/2011How long is the wrongful death statute of limitations in Washington?